Tannenberg, the “realistic” First World War FPS that debuted on Steam Early Access a year ago, will go into full release on February 13, 2018, M2H and Blackmill Games announced today. The developers also teased a special winter offensive event and revealed plans to commemorate the 100th anniversary of the Armistice that ended the war on November 11, 1918, with a two-minute in-game silence. As if to emphasize the point, the studio put out a brief “release date announcement” video teasing the arrival of the Bulgarians, who will be added to the game when it launches. In the world of Tannenberg, that’s big stuff: M2H and Blackmill said when the game was announced that their goal was to turn a spotlight on the war’s lesser-known Eastern Front, which was a far more mobile conflict that didn’t get bogged down in the grind of trench warfare. A major update to Tannenberg was also released today that overhauls the interface, with the goal of making it more immersive and intuitive for newcomers. 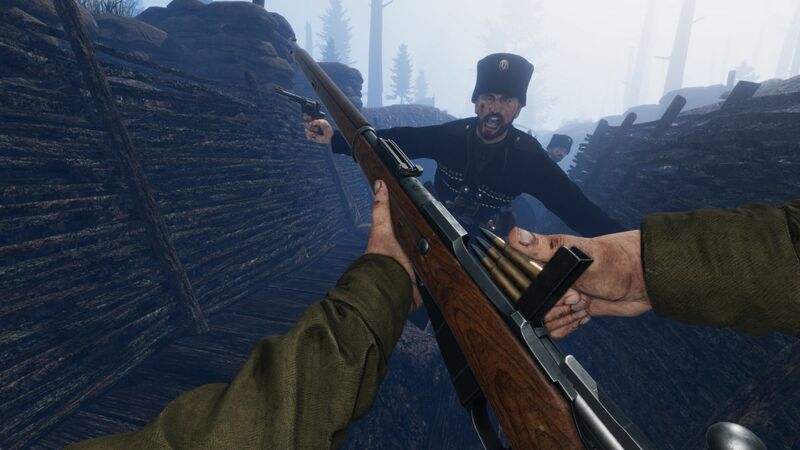 M2H said that the update is a “good first pass,” but promised to continue evolving the game “to capture the true Eastern Front warfare experience.” Players are invited to offer input on future changes on Steam or via the Tannenberg Discord.